Moore Landscapes’ employees are our most valuable resource and we want more just like them. Employees are rewarded for their commitment and performance and also for helping recruit new like-minded employees. 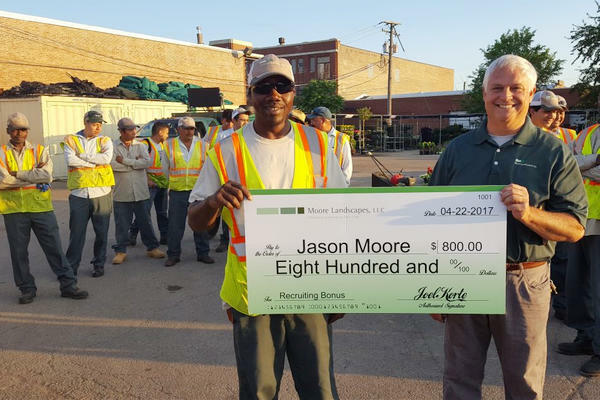 Moore Landscapes team member Jason Moore (pictured here with his recognition check) was a top recipient of recruiting bonuses. Thanks for helping build our team, Jason!